What are your thoughts on the black/white Omega Planet Ocean GMT? Grand Seiko service – your thoughts on quality, customer service and timeliness? 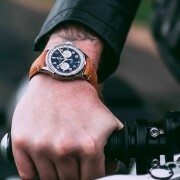 Opinions about the IWC Mark XVIII 3270017 textile / fabric strap? Bracelet on the Breitling Aerospace Evo – thoughts? US Tudor just initiated major price increases? Dallas Cowboys Hublot – how collectable and desirable are these? Cartier Tortue Monopoussoir 2356 available with 2 different dials? How many case sizes? One Rolex, only one – which would you choose? Cartier Baignoire Pink Gold Woman’s model? Opinions given regarding wearing a Lange as an everyday watch? 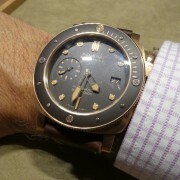 Tried on an Audemars Piguet 11.59 chrono this weekend – and I was pretty impressed! Advice re: Lange 1 Stealth 101.025 with blue hands? Finally celebrating my 50th with another fine Rolex timepiece – thoughts?